So to follow up to yesterday's post, today I bring you a wee little sneak peek at my bedroom. 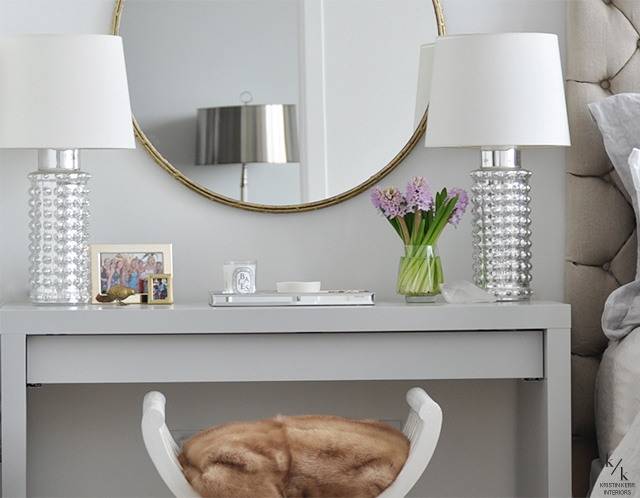 For as long as I can remember I have wanted my very own vanity so since my bedroom is very long and narrow I decided to forgo matching nightstands and set up my own little makeup station using an Ikea Malm console which I painted high-gloss gray, a stool topped with homemade fur cushion and a lovely round brass mirror from CB2. I was attempting to channel the look and feel of lovely vanity in the second picture above. 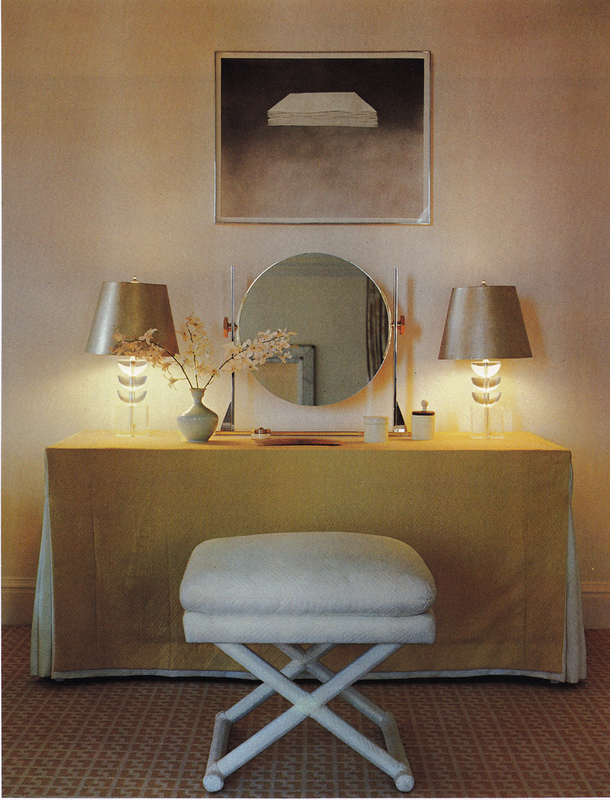 I already had the console, stool, and vintage lamps but it took me forever to source an affordable large round mirror. 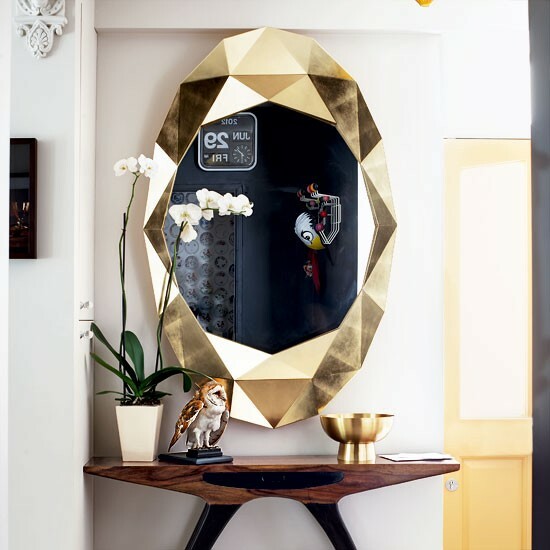 Big round mirrors are tricky to find, but as luck would have it, I stumbled across the perfect piece in the most recent CB2 catalog. I had tried using a rectangular mirror that I already owned in the space but the images above convinced me that round was the way to go! 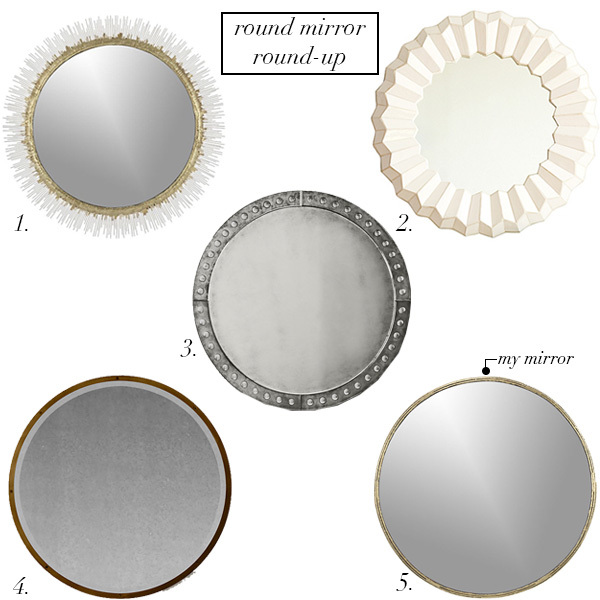 So in case you too are on the hunt for a round mirror, above is my round-up (catch that?) 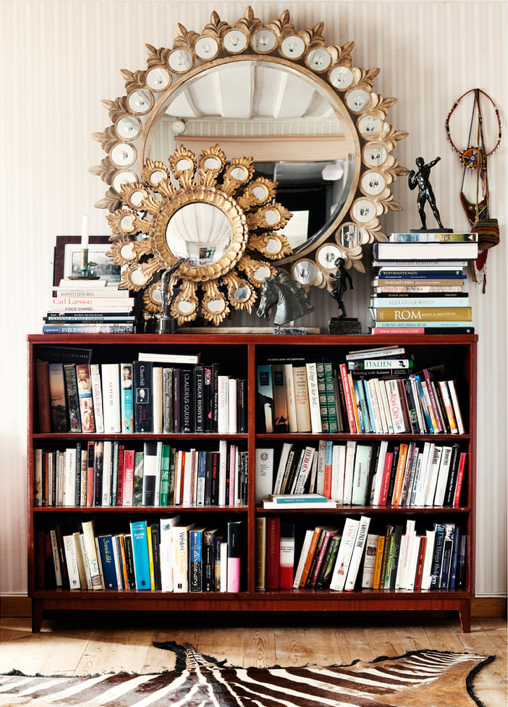 of reasonably priced large round mirrors. Which one is your favorite? I must say that I must have the golden oval one in the last photo very very much! I love the 4th and 5th photos! 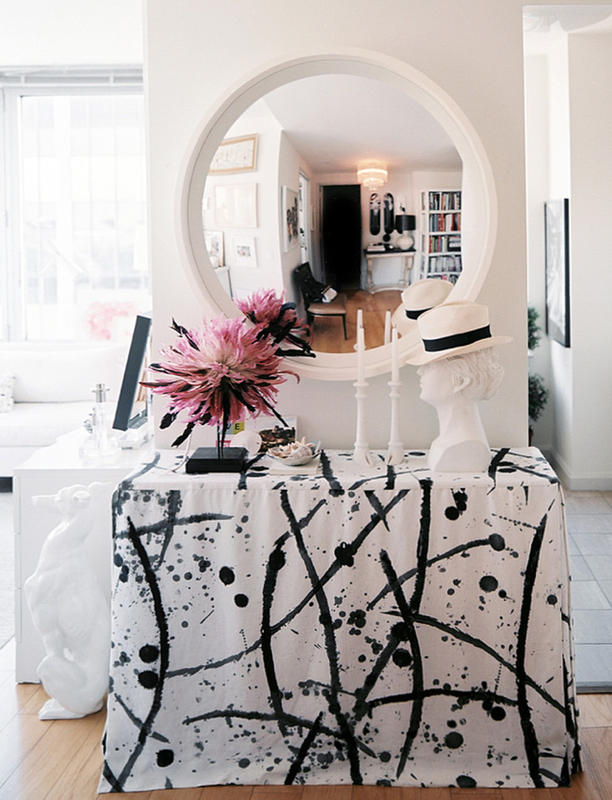 Both rooms seem so cozy yet chic! 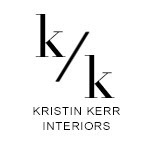 Hi - I was wondering if you could share where the stool is from?? What kind of paint did you paint the vanity with. I've tested a few and they chip right off once they are dry. My vanity is anxiously awaiting its new color!